Hallo Europe! 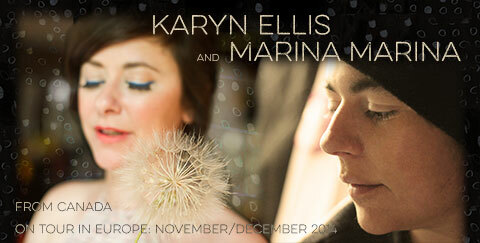 Marina Marina and I are headed your way soon! Stops in Germany, Switzerland, Netherlands, Austria, Belgium. First show: November 7th! We’d LOVE to see you and your friends! Sweet! Came across what looks to be a very nice review of my album on the Belgian music zine, Rootstime.be ! I say very nice because, ahem, my dutch isn’t much to speak of!